Juan Bravo, a MFA Fine Arts 2nd year student came in today to use our Roland vinyl printer and cutter. 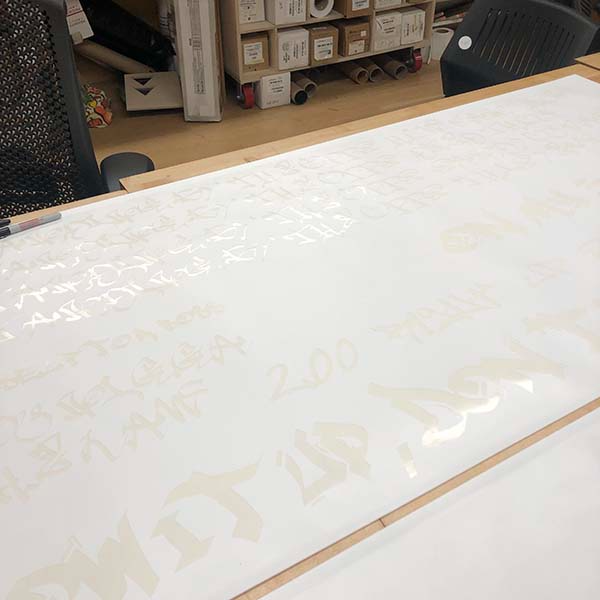 He printed a stencil of hip hop lyrics and is meticulously removing the negatives for a piece that he will be presenting in the department open studio. Come check it out on December 13, 5-9PM on the 8th and 9th floors of 133 W 21st Street.